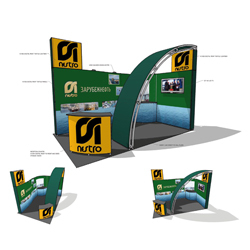 Nothing can compare to the creativity and design of a custom built exhibition stand. However the very term ‘custom built’, can dissuade customers because of the presumed expensive price tag that will goes along with custom made exhibition equipment. Many do not realise that the same design and creativity can be achieved with custom modular stands. Many companies have come to rely on our years of experience in creating custom built exhibition stands, with the use of custom modular parts. We have provided ‘turn-key’ custom built exhibition solutions worldwide for a variety of clients. Our portfolio of custom exhibition stand design and case studies demonstrates our knowledge and creativity in this sector. With over 15 years’ experience in the exhibition industry, we understand the creative flair of a custom built stands and the impact they can have on the success of your show. Whether you require an exhibition design for a small shell scheme or a large floor space, we offer a range of bespoke exhibition stand services to match your exact requirements. The process begins with us ascertaining exactly what you need from your custom made stand. 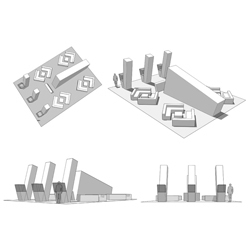 By completing our design considerations form, we can analyse what your requirements are so we can fully meet your expectations. With each custom built modular project we consider carefully how to get the most from the space you have been allocated and get maximum impact from your display. The space planning is thoughtfully devised giving customers free flow around the exhibition stand. The plan is then devised with this in mind, positioning key branding at approaching customers and giving them unrestricted access onto the stand. We help you to determine the best use of multimedia displays, digital screens, positioning of literature stands in your displays. Every step of the process from design to installation is handled with meticulous care and attention to detail by our experienced team of account handlers, designers, planners and production staff. Our aim is to understand the objectives that you are seeking to achieve and then create an exhibition stand that will match your marketing requirements, fit your brief and budget. We will supply you with a detailed breakdown quotation including all the services you require, and a CAD drawing. One of the key benefits of custom modular exhibition stand is that the stand can be designed to be used at future shows. Whether you are aware of what you need at future shows or not at the initial design and production stage, custom made stands can be altered to suit whatever event you are attending. Storage between shows can be accommodated in our facilities. 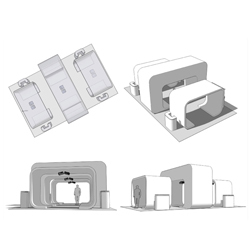 Talk to the POD sales team today about your next custom build exhibition stand.